← Wineries, World Cup, and Tucker, oh my! Another busy month has flown by. 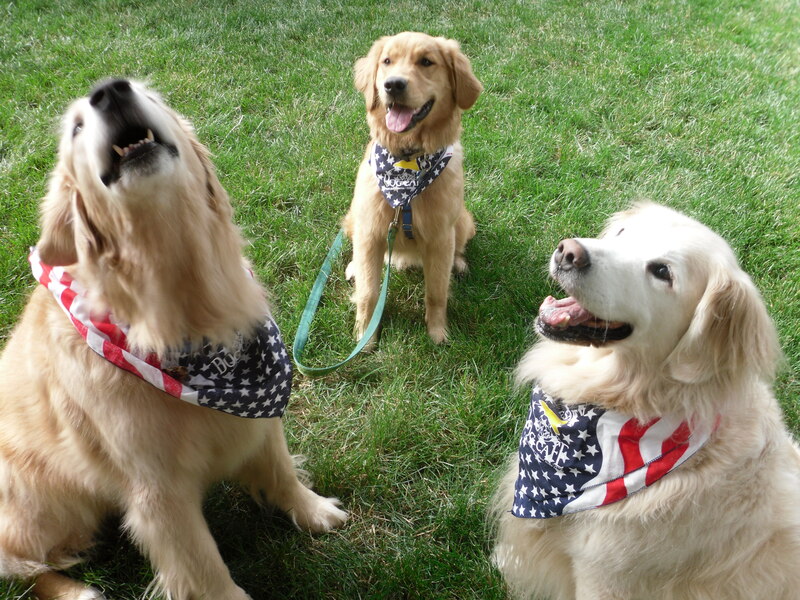 Tucker ended June by visiting his grandparents and their goldens Emily and Spenser. I’m constantly amazed at how Emily and Spenser have welcomed him into the family. Not that I expected anything different but when you are 13 and 7, a puppy can be a bit intense! 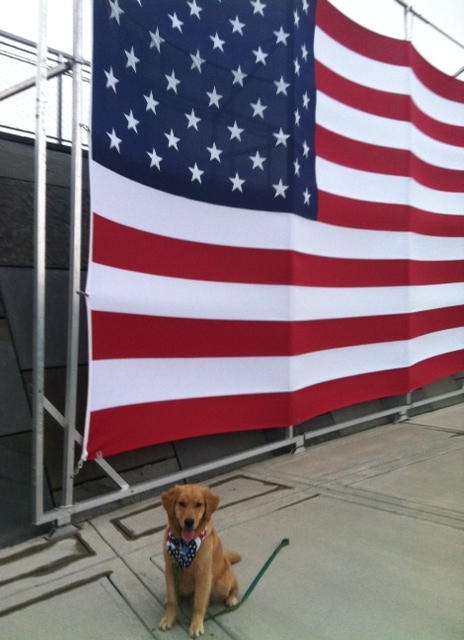 July has been a busy month so far for Tucker….we started off with a great July 4th weekend. Tucker’s Daddy was visiting his family so Tucker had some Mommy time all to himself. We were fortunate that the weather was not the typical Washington D.C hot and humid so we got to go on nice long walks. No fireworks for us- we watched them on TV but Tucker was not impressed and fell asleep. The next two weeks went by fast as we prepared for “the snip..” You dog owners know what I am talking about..Tucker’s neuter was scheduled for July 16. I prepared myself as best I could- bought him his favorite chews and bones to keep him occupied, read everything there was about what to expect after the neutering and took off work to help Tucker heal. I am so glad I did that, but it still didn’t stop my heart from breaking when we went to pick him up and he was so out of it. It looked like he had been crying and he just stood there. 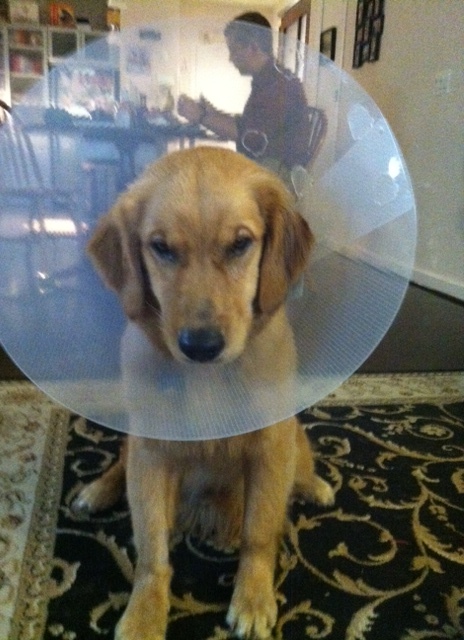 I knew this was normal behavior because of the anesthesia but I felt horrible. We got him in the car and home and he would just cry every few minutes. 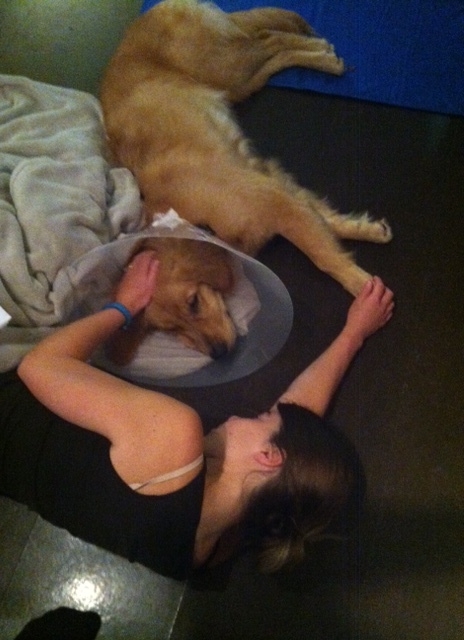 I think he was uncomfortable and the cone was weird and it was just not a good night. He was happy to eat some but if my hand left his side for even a second he would cry. I did not sleep at all that night but by the next morning, he was getting back to his Tucker self. 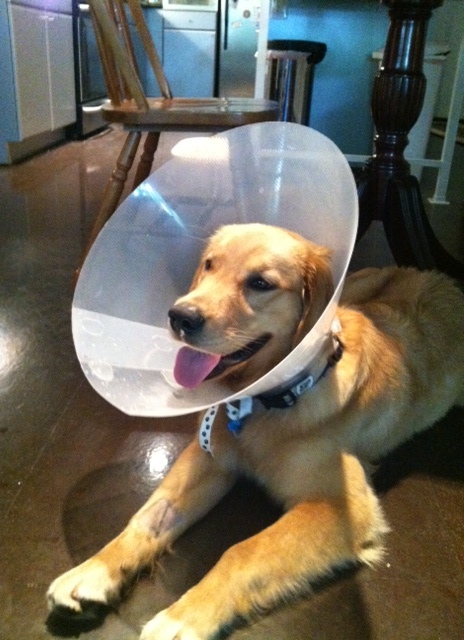 He adjusted to the cone and was back ready to go even as I neurotically checked his incision every 5 minutes for….well let’s just say 11 days later, I am still checking him! Our vet is wonderful and called to check on him and when I called about getting this month’s flea and tick and mentioned his incision, they told me to bring him in and they’d make sure everything was healing properly, which it was. I am so glad we are finally out of the cone and back to our regular walks! This week brings another short work trip for me followed by a work trip for Tucker’s dad so we’ll be single-parenting for a bit. Time for some Sunday cuddles with Tucker!